Been there longest so the job is yours? Be careful! Getting your mindset correct with interview coaching will help you to ensure that they see why you are the right candidate. Longevity can fool many people into taking it easy in interviews and this needs to be challenged. Thinking it’s your turn is ​exactly what we are talking about here. A ‘my turn culture’ benefits nobody other than those in ​position the longest. The old-school attitude of I have been here the longest therefore, I should be given my 'turn' has been very prevalent through the years in certain walks of Irish industry. Many careers have benefited from this practice and the justification is often, I put in the years to get here. However, this myopic sort of selection uses only one simplistic measure and as a result it can damage ​far more careers than it builds. Tenure has little to do with ability. If you are performing in a role for a long period of time and then seek promotion, your new role will be exactly that: new. The difference between these roles can be epic. Often, we have noticed among staff an assumption that management is easy and that there is very little to do, but this viewpoint often comes from a place of resentment. 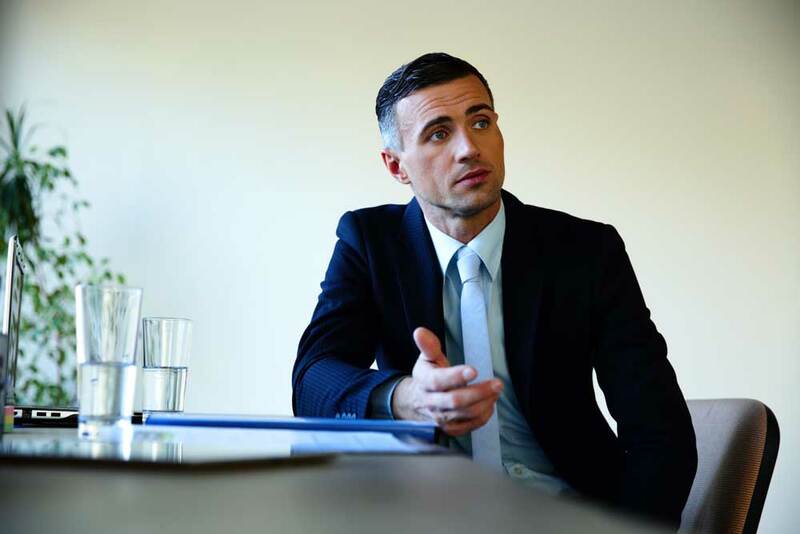 The reality is very different when newly promoted managers find themselves with competing priorities and a spectrum of concerns for the members of their team and their respective problems. It is a very different role and often, intricate knowledge of the section may not be enough for a smooth transition. This is why organisations implement competency based interviews. They need to assess whether or not you have the skillset required of managers, not just staff members, which they already know. In doing so they may include some requirements around experience, but it will form part of a larger framework of selection. It is not enough on its own. Ireland has seen its recruitment processes evolve away from this experience-centric and paternalistic culture quite significant over the past 20 years. However, there are obviously many factions still in favour of seniority. But the problem is the ill feeling this creates. There is nothing more damaging to a team and its morale than a poor leader. Repeated experience of this leads to frustration on the part of not only those more suited to the role but also the larger team. It has been our experience that such dynamics can fester over extended periods of time as all concerned dig in their heels and become primarily focused on their own interests. This has cost organisations many good managers, who have simply lost faith in the process or have learned to adopted some of the more questionable practices of the manager originally selected due to his seniority. We cannot emphasis enough how limiting this practice is, but it can also damage a candidates chances of promotion if they allow this thinking to influence their performance at interview. A sense of entitlement is perhaps the greatest challenge to motivation. Many candidates may be basing their attitude around how previous selections have been made. However, this ignores the possibility of a panel changing its approach to be more in line with the criteria, without any official notification. Furthermore a given policy is difficult to rely on particularly in the civil and public sector, when interviews are conducted centrally and often in Dublin. Panels can vary greatly under these guidelines and are especially difficult to predict. "because of my experience across the sections and all of the technological developments made in this time I am well equipped to lead the organisation through this next round of change." ​This employs your experience and shows the benefits of it, rather than just saying a number. There are no guarantees in the interview process. We have seen panels reject every candidate they interviewed for a particular role as nobody ​satisfied the criteria​. Do not rest of your longevity, but spend time making the case for the benefits of it, coupled with you other abilities and ensure you demonstrate yourself as the best candidate for the job. ​And ake sure you put your best foot forward with expert interview coaching. Previous Post Interviewing for Graduate Programs and Internships Next Post How does Interview Coaching ensure results?